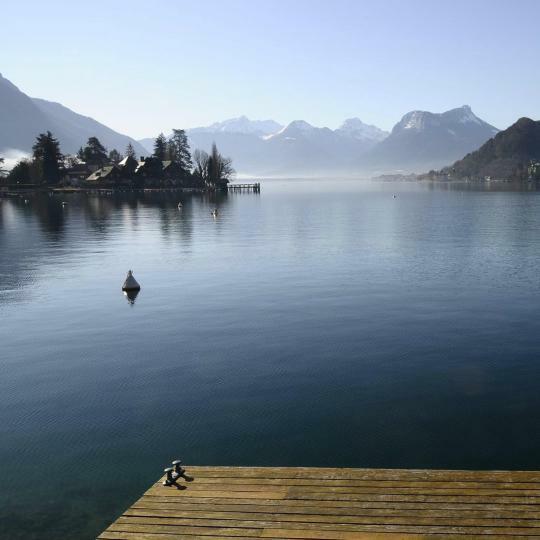 Stay in Haute-Savoie's best hotels! Offering a ski pass and ski lessons sales point, RockyPop Hotel - aux portes de Chamonix offers accommodations in Les Houches, 3.1 mi from Chamonix Ski resort. Brand new hotel with sleek, modern design to make your stay comfortable and relaxed. Excellent public spaces, good quality food, the kids loved it too. Set in Chamonix-Mont-Blanc, Hôtel L'Heliopic Sweet and Spa features a 500-m2 Spa with Turkish steam bath, ice cave, indoor swimming pool, tepidarium and sauna. Wonderful experience! All the staffs are nice ! Featuring a terrace and a shared lounge, Ibis Styles Sallanches Pays du Mont-Blanc is located in Sallanches and is 5 miles from Lake Passy. A hot tub is available for guests. Perfect. Balanced all round exactly what it should be! Located an 8-minute walk from Chamonix Ski School, Auberge du Manoir in Chamonix has a garden and terrace. This 3-star hotel offers ski storage space. This place is located right in the middle of Chamonix so everything was in walking distance but since it was located on a side street it was very quiet. The manager was extremely helpful and very pleasant. Located in Sallanches, 7 miles from Lake Passy, Le Cerf amoureux Hotel & Spa has a seasonal outdoor swimming pool and a spa & wellness center. A hot tub is available for guests. It was a beautiful building with wonderful amenities and a very friendly staff. Rooms with nice size and had beautiful views. The dinner was delish too. The area was fantastic. If you are looking for a quite peaceful stay it is a home away from home. Also was a wonderful place for a family to stay. They had a game room and cinema the kids could enjoy while adults enjoyed a nice dinner. Only accessible by train, departing from Montenvers-Mer de Glace Train Station, Terminal Neige Refuge du Montenvers is a shelter-style hotel set in a 19th-century building and located at an altitude... I stepped off the little red train and was blown away. Pictures so often cannot do justice to amazing places like this. The hotels website got me here, but experiencing it first hand, will have us coming back! We walked into the hotel and were greeted by friendly staff. Upon check-in we immediately asked if another night was available. We were told they would try to accomodate us, and to check back in later. The man seemed doubtful he had another room for three, my husband and I, plus our 9 year old son. We dropped off our bags and sat for lunch at the restaurant, the glass room perfect to take in our surroundings. We had dinner around 7pm. Dinner is included and they don’t disappoint. The food was fantastic. The next morning, assuming we’d not get another night on short notice, we reserved rooms elsewhere for the remainder of our vacation, and we checked out. To our total surprise they we able to secure us another night and booked it assuming we’d want to stay! The service here was unparalleled. Had we not assumed the worst and booked elsewhere, no question we’d have stayed another night. I felt terrible we didn’t ask first if they were able to swing the extra night. If you want to stay somewhere that will take your breath away and have the very best service, this is your place! Hôtel La Grande Lanière is a hotel set in Les Gets, just 98 feet from Turche Ski Elevator, which provides access to the resort within 5 minutes. There is ski-to-door access and ski storage space. It wasn’t a big room but perfectly adequate and clean, the bed was very comfortable. We had a balcony which we weren’t expecting so a nice surprise. Set in the heart of Combloux, this hotel is 328 feet from Bouchet Ski Elevator, which goes directly to Portes du Mont-Blanc Ski Resort. You can relax in the sauna, hot tub or seasonal swimming pool. The view from my room was one of the best I have ever had. This 3-star hotel is located in the historical heart of Chamonix and offers a terrace with views of Mont Blanc. The staff went above and beyond to greet and make you feel welcome. Located in the French Alpes, Hôtel Le Vermont is part of Le Grand-Bornand ski resort. Very Nice little hotel with sauna, pool and jakuzzi. Fer à Cheval is located in the heart of Mègeve ski resort, just a few minutes from the ski slopes. It offers 2 swimming pools and a Décléor spa with a hammam and hot tub. Beautiful property walking distance from the centre of Megeve. Hôtel Restaurant Yoann CONTE Bord du Lac, originally built by Marc Veyrat and re-opened in 2010 by Yoann Conte, features its own private pontoon with sun loungers on the shores of Annecy Lake. Very quiet and peaceful. Great view of the lake. Staff was helpful and friendly. In the heart of the Haute Savoie region, Le Gai Soleil is a hotel in the village of Megève. It offers a fitness center, children's playground and seasonal heated outdoor pool. Beds were comfy, very clean and accommodating. In heart of the Mont Blanc Region, Les Chalets du Mont d'Arbois is a 5-star hotel located 7 minutes' drive from the center of Megeve and only 1640 feet from both the Mont d’Arbois pistes and Golf... Everything and everyone. This hotel made my dreams come true. This hotel is in the Avoriaz ski resort in the Haute-Savoie region with direct access to the ski slopes. It features rooms with mountain views. The staff were all very friendly and helpful. Le Choucas is located in the Chatel ski resort, set in the Portes du Soleil region. This Savoie chalet offers soundproofed accommodations with private bathrooms. 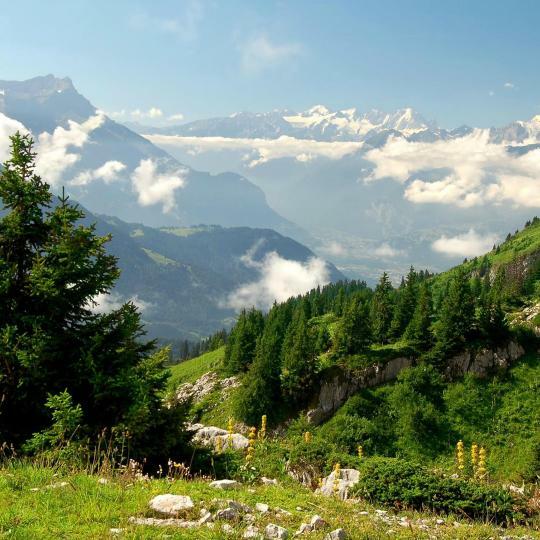 Located in the heart of a beautiful mountain area just opposite the famous Mont Blanc, this hotel features unique panoramic view and welcomes you in a characteristic chalet. I liked very much the atmosphere of the hotel - like you are home. Set within 1640 feet of the center of Megève and the Chamois Ski Elevator, Au Coin Du Feu is a characteristic Savoyard hotel featuring a lounge with an open fireplace. Free WiFi access is offered. Personnel and comfort. Excellent food at the hotel's restaurant. This chalet is below the famous ski area of the Grands Montets and at the starting point for a range of hiking trails. This hotel is outstanding in every way! 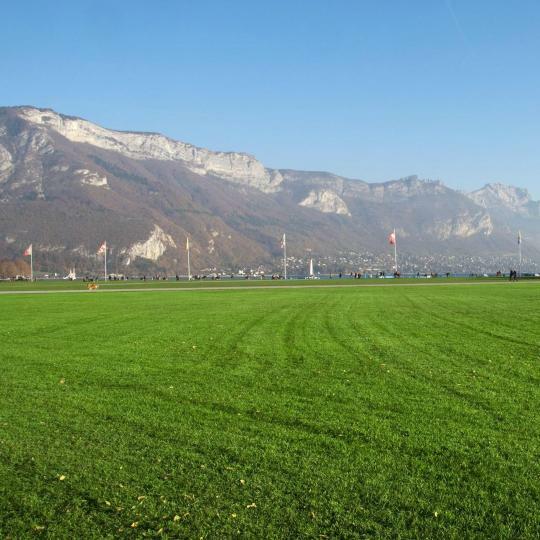 Situated right in the center of the city, near the main restaurants and shops of Évian-les-Bains and the casino, this hotel welcomes you just in front of the Lake Geneva. 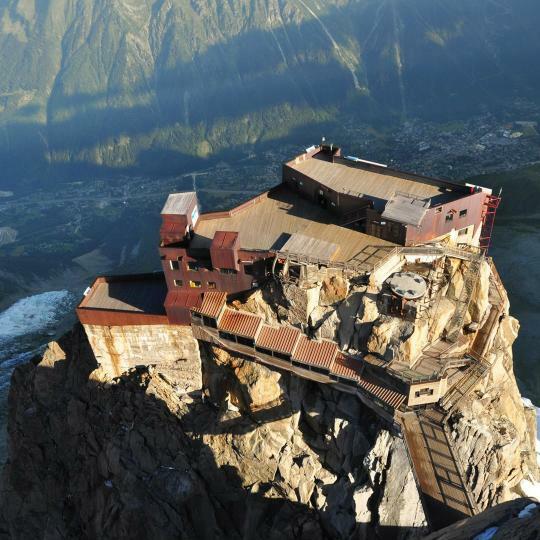 Hover 1035 metres over the valley in this enclosed glass box on the summit of the Aiguille de Midi. 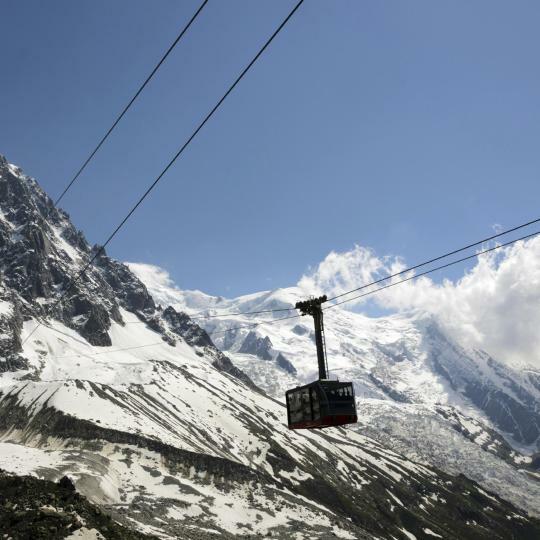 Take one of the world’s highest cable cars from Chamonix and reach the summit of this 3842-metres-high mountain of the Mont Blanc Massif. 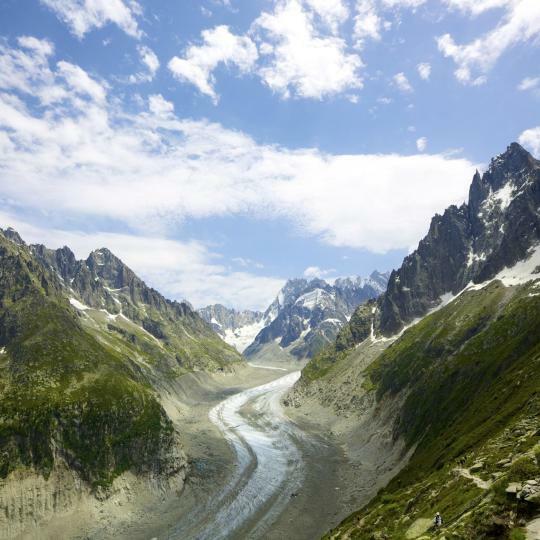 Take the Montenvers railway to comfortably discover the largest glacier in France, the ‘Sea of Ice’. 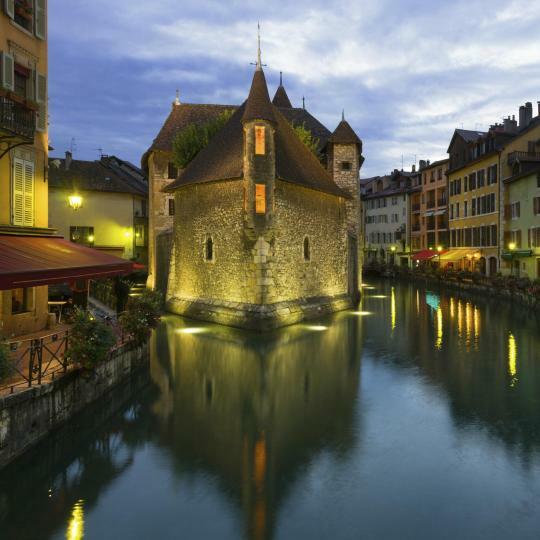 Nicknamed the ‘Venice of the Alps’, Annecy is known for its flower-lined canals and its lake, which has the cleanest water in Europe. 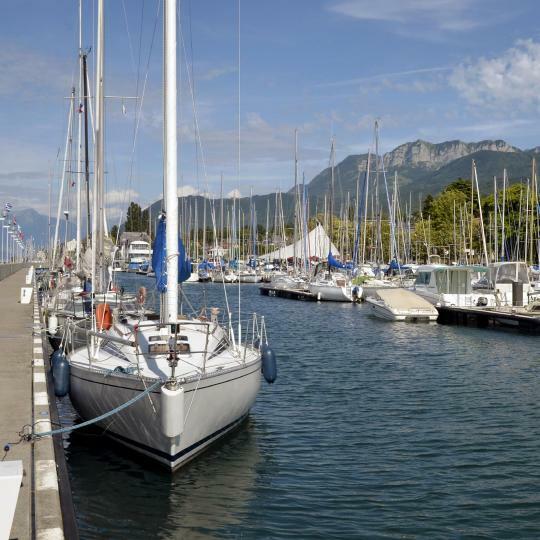 Lake Geneva is one of the largest lakes in western Europe, well known for its famous yacht racing competitions and the beautiful scenery. This beautiful ski resort and hikers' paradise features the Cirque du Fer à Cheval, a huge amphitheater, shaped naturally out of limestone. Watch classic films outdoors at screenings in the field of Le Pâquier during this annual festival, held for a week in June. 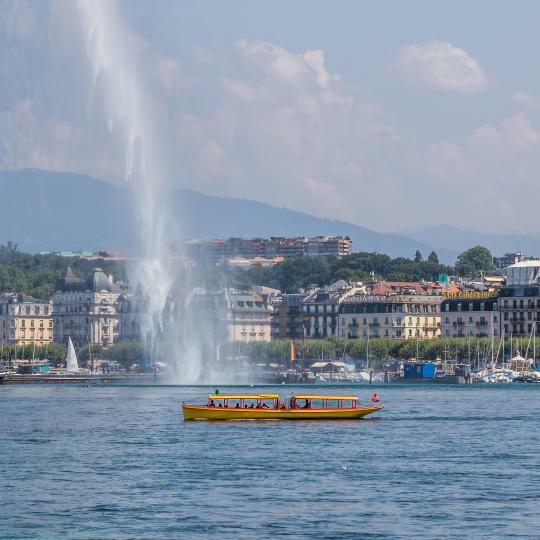 This spa town on the shore of Lake Geneva is very popular for its mineral springs and a favourite holiday destination for celebrities. Famous for skiing and hiking, this picturesque mountain resort is better discovered by horse-drawn carriage, or by sleigh ride in the winter. 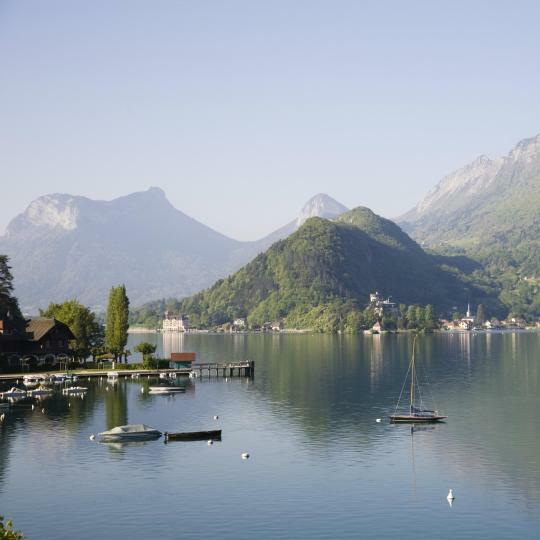 This resort town facing Lake Annecy boasts a well-known abbey and plenty of outdoor activities such as hiking, water sports and paragliding. The hotel was fantastic, we were wary because of initial reviews but by the time we stayed mid-Jan 2019 they appeared to have sorted all teething issues. We stayed in the 4 bed dorm, yes they are quite compact but they make good use of the space and they were great value for money. They had nice touches like cups and blankets, and a cupboard + space for suitcases each. We had a room clean and towel change everyday which we hadn't expected for the budget room. The ski boot room is just pick a cupboard and write your name on a post-it note, probably would be better if they just had cupboards with your room number on. Staff were all very friendly. There is a bar/club downstairs for apres that finishes at 10 and a cocktail bar upstairs that is open until the early hours and we often ended up back there after nights out on the way home. Great happy hour prices too. The spa was a nice touch and had an outdoor heated pool. There were lots of seating areas in the hotel where people could chill which you don't often find in ski hotels. Breakfast was amazing, everything from fruit to cooked English breakfast, to continental meats and cheese etc, anything you could possibly want. We did dinner in the restaurant the night we arrived and it was great fun, they had singers. Location of the hotel was great, you can get a button lift up to the Brevent Flegere lift, and the beginners had their lessons just outside the door of the hotel. It's a 5 minute walk into the main town streets. Hotel Des Alpes is right near the center station in Annecy, making it perfect for travelers with lots of luggage - no need for a taxi, just roll right over! Don't worry - you won't hear the station at night, this cozy little hotel is peaceful, quiet, chic and comfortable. The staff is tremendously accommodating of their guests from many nations, the location is ideal for exploring all parts of central Annecy, and the rooms, though compact, are more than sufficient. The lobby decorations are adorable, the Continental breakfast yummy, and I can't say enough about the helpful staff. One note: this property lacks an elevator, but staff members offer to help with heavy luggage if this is an issue. I hope to return one day and would not hesitate to recommend this property to anyone. The hotel was a great find; a couple miles outside of Annecy, France. The staff was nice and professional. There is free onsite parking. The room is modern and very clean with A/C for those warm days. The hotel seems to be only a couple years old and is surrounded by nice apartment developments. Breakfast is good and cost around 7 euros. The price to stay one night is very reasonable and worth every penny. We would definitely stay here again. I loved everything in this hotel !the accommodation, the staff, the service but most of all , the location! My room was clean, spacious with 2 windows & a small terrace with gorgeous views! The bed extremely confortable , the bathroom nice & big with all the amenities of a 5 stars hotel. We were actually transferred upon arrival to their partner property, the Hotel Royal, a sumptuous palatial hotel adjacent to it, where they honored the same rate as the Ermitage. We absolutely loved the Royal, wonderful staff, beautifully restored, amazing views, great amenities. Superior hospitality, perfect and unique breakfast experience. Money to be paid at checkout , the easiest and most comfortable admission and check in I had on all hotels I have ever tried. Balcony experience one of the best I ever had. It was out of town and therefore quiet. You really did ned a car to get around. The view from the hotel was spectacular!! The feeling was like a family holiday resort with lots of kids. The staff was very welcoming and helpful! The beds were very comfortable and the location was 10/10! It was perfection, from the location to the staff, to the food to the gorgeous old 17th century walls.